For Thanksgiving this year Derek and I went to visit his family in the morning. We had Thanksgiving breakfast at his mom's house, and it was delicious! Donuts, orange juice, his mom's famous country breakfast egg casserole, and pastries. Our little niece is one and a half years old now, and she just loved my necklace. She likes beads and anything shiny, so she would come over and touch the beads on my neclace and say "Ooooh". It was so cute! Derek's mom came to spend the night with us on Thanksgiving night, and we all went over to my parent's house for Thanksgiving dinner! My aunt and uncle and cousins and grandma were there as well and we all had a really nice time. Dinner was delicious and after dinner I went out with all the men to drive a remote control snow mobile! I got to control it too, and it was cool. It made this revving noise if you pushed a certain button, and I had fun with that! We also had a pie contest and I made a pecan pie. It was the first time I made a pecan pie, and I was a little worried about how it would turn out, but my sister and Derek (who happen to be experts on pecan pie) told me it was perfect. The rest of the evening we just enjoyed watching football, playing chess and just visiting. My cousin came to spend the night at our house as well, so that I would have a shopping buddy for black Friday. We drove by our neighbors crazy light display on the way home. My mother-in-law also showed me more about how to work Ancestry.com (since she signed me up to be an editor to her tree). It was a wonderful Thanksgiving! Now that Thanksgiving is behind us the Christmas season is in full swing! I got practically all my Christmas shopping done on Friday, and my cousin and I had a fun time running from store to store. We got some pretty good deals too, even though we didn't leave my house until 10:00 AM. We didn't go shopping at 4:00 AM like some people do. Yeah, I'm not that hard-core when it comes to shopping. I hope you all had a wonderful Thanksgiving as well! I hope you all had a wonderful Thanksgiving day with your families! I'm off to participate in the shopping madness today with my cousin, but I'll tell you all about this year's Thanksgiving soon. I got some really good pictures too, so get ready for along post come Monday. Two quick items that I wanted to bring to your attention today. 1. If you haven't sent me your address for a Christmas card yet, please e-mail it to me at throughcloudedglass@gmail.com, ASAP! My Christmas cards will probably be a little later than I planned - I didn't get them all written yet, but I'm (hopefully) going to send them out on Monday, so if you can e-mail your address to me by Monday evening at least, that would be great! I'd love to send one to whoever would like to receive one! 2. Mrs. Life Accounts at The Life Accounts is having a lovely giveaway - she's giving away a piece of jewelry of your choice! She has some really beautiful pieces too - so go over there and check it out! So I'm Christmas shopping today - am I crazy? Yes, I am. I've never done serious shopping on the day after Thanksgiving, but I am this year, so we'll see how it goes! If I have an crazy shopping stories after the experience, I'll be sure to blog about it. "Things We've Yet To Notice"
I was listening to Hugh Hewitt yesterday (I know, alot of talk radio this week), and Tarzana Joe, a poet for the Hugh Hewitt show, came on to read a poem for Thanksgiving this year. I liked it so much that I'm going to re-publish it here. I thought this year's Thanksgiving poem is great, and really brings things into focus. We ought to thank Him most for all the things we’ve yet to notice. I really like that last line about thanking the Lord for things that we haven't noticed yet. I'm thankful for all the big things - my husband, my family, a house to live under, food to eat, dogs to cheer me up, having a job, being born an American. I could go on and on about each one of those things, and I do go on and on about them in my prayers of thanks to Jesus. But after reading that poem, I've been trying to think of things for which I can thank the Lord that I haven't noticed before. I'm thankful for my nice cozy down comforter. I'm thankful for mud. It's fun to squish between my toes. I'm thankful for all the great inventions that make my life easier. Like the microwave. How often do I thank the Lord for the microwave? I'm thankful for electricity. That's what powers all the afore-mentioned inventions. I'm thankful for the way it's so easy to connect with other Christians these days via the telephone, the internet, etc. I'm thankful for color - can you imagine how wonderful the mind of God must be to think of something like color? I'm thankful for spiders, because without them flies would take over the world. It's true, is it not? I'm thankful for bacteria, because through the study of them we can get an entirely new glimpse at the ingenuity and creativity of God. I'm thankful for space. There is no better proof of the existence of God. I'm thankful that the Lord Jesus chose to die on the cross to save the likes of me. Me, with my selfishness, my pride, my sins. I'm thankful that God chose to make a place like Heaven. I'm thankful that He died and rose again to make me a citizen of Heaven. I'm thankful that one day I'll spend the rest of eternity with Him. I'm thankful for that eternity. It's a mind-boggling thought. I've noticed some of these things before, but not in the way that I would thank the Lord for them. Okay, and those last three weren't things that I haven't noticed before. Of course I've noticed what Jesus did for me - that's why I follow Him. But somehow I tend to forget to thank Him for it like I should. And that is shameful on my part. It's the ultimate thing to be thankful for. I hope you find that ultimate gift of Christ's death and resurrection this Thanksgiving, and if you have already, I hope you remember to thank Him for it. Poem: Thanksgiving 2009 by Tarzana Joe. www.tarzanajoe.blogspot.com; www.tarzanajoe.com. "A Day Of Thankgiving To God"
Did you know that the first official Thanksgiving celebration was on Thursday, December 18th, 1777? Do you know which Founding Father lead the call to have a national "day of Thanksgiving to God"? I was listening to Laura Ingraham this morning, and she read this article by Ira Stoll on the first nationally declared celebration of Thanksgiving, which was actually during the Revolutionary War. The direction of the war was looking bleak for Americans. After Philadelphia fell, Congress had to leave and go to York, Pennsylvania. The mood was very gloomy, but Samuel Adams stood up and gave everyone a pep talk, saying "Good tidings will soon arrive. We shall never be abandoned by Heaven while we act worthy of its aid and protection." Shortly thereafter they heard word of the successful battle of Saratoga. A commitee was formed including Samuel Adams, Richard Henry Lee, and Daniel Roberdeau that declared December 18th as a "day of Thanksgiving to God". And that, my friends, was the first nationally declared Thanksgiving Day. Samuel Adams continued the call to have a day of Thanksgiving to God the next year, and declared many Thanksgiving days in the years after that. Read the article for more details - it's really interesting. This is a chapter of Thanksgiving history that I hadn't really heard before. The pilgrims and Abraham Lincoln declaring it a national holiday are usually covered, but I didn't really know the story of that difficult time. God brought our country through that dark hour of the War for Independence, and our Founding Fathers recognized Who deserved to be thanked for it. This year as we sit down to eat, let's remember the critical role God played in the founding of our country, and remember Who exactly we are giving thanks to. This week is a week to give thanks to You for all of the blessings You've given us. Tonight I am thankful for my husband. This morning I mentioned to Derek that we should straighten up before we left for church, because the house was in a little bit of disarray. I just mentioned it in passing as I ate breakfast, and then I went and jumped in the shower. It was one of those mornings where I was having trouble with my hair. I really am thankful to You for giving me this thick, curly hair, Lord, because at least when I'm old and it starts to thin it'll be unlikely that I have any bald spots. But I know You know how I sometimes have trouble taming it. With all the difficulty I had this morning, I got frustrated and took twice as long to finish getting ready to go. While I was in the shower, Derek vacuumed the floor and the couch, dusted, and washed our sheets. In the process he actually even found found some of my socks and a hair clip that I had been missing - they were hiding under the cushions. When I came out of the bathroom the house had that wonderful clean smell - like Endust and Windex. When I said "straighten up the house" I meant to just hang up our coats and clear off the table, but the husband that You gave me went the whole nine yards! Derek is always thinking of ways to bless me, Lord, by helping me clean, or making me breakfast, or always giving me a cheerful greeting. He's always there for me when I have a problem, or when I'm stressed, or when I'm feeling blue just to hold me and cheer me up. He's always there to laugh with me and be goofy with me when I'm in a silly mood. He tolerates my many faults and loves me anyway, and every time I think of the blessing he is to me, I think of the way You blessed me when you gave him to me. I don't deserve such grace. Thank you for giving us marriage as a way to honor and better serve You. Help us to fulfill Your purpose for our marriage, Lord. Help me to be a better wife to my wonderful husband, and to treat him as the blessing that he is. You are the Giver of Good Things. Thank you, Jesus. I love this song. It chokes me up every time. Just thought I'd share it today. Laughed and said "All I can say is." Turning into moms and dads next thing you know your "better half"
"Best start putting first things first." Go out there and enjoy the moment today. The Lord gives us each present moment to cherish and enjoy and we should make the most of where we are right now and live each moment to glorify Him. I hope you all have a beautiful Saturday. The Fabulously Sugary Award, Doll! 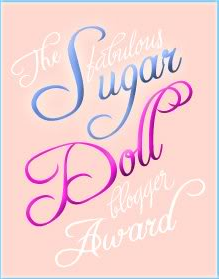 Marrissa over at Sparkles and Fate gave me "The Fabulous Sugar Doll Blogger Award"! Yay! Thanks Marrissa - I love reading your blog, and I'm honored that you thought my blog worthy of an award. So to recieve this award I must tell you ten interesting, (and for me, random) things about myself, so here it goes. 1. I love Strawberry Vanilla Rose tea from Celestial Seasonings. It's fantastic. Very hard to obtain, but worth the hunt for me. 2. I'm writing this from my laptop on my lunch break. When I think I'm going to have a hard day I beg Derek to let me bring the laptop. The day doesn't seem so bleak if I can blog over lunch. 3. I got a couple free gift cards from Victoria Secret this month. If you purchase something in November that's over ten dollars they give you a gift card worth anywhere from ten dollars to five hundred dollars. But you have to spend them during the month of December. I'm thinking I might get some new perfume - I'll let you know if I do. 4. I'm totally stressing about the December Photo Scavenger Hunt at Jessica's Blog, Called to Serve. Why? Because I want to participate and win, but I have absolutely no vision for photos this month. None. I'm just kind of seeing if anything comes to me before the due date. 5. Sometimes I get so many ideas for blogging that I never actually get to write them all. The inspiration comes in spurts, and I write my ideas down, but half of those posts never get written. Isn't that sad? I think I need one day a week that is entirely devoted to blogging - then I wouldn't be depriving my readers of posts that they could be reading. Are you with me? 6. I started this post on Wednesday. It's now Thursday night. 7. I'm so tired. Practically every morning this week I'd wake up and it would take about five minutes for my vision to actually clear. Talk about being blurry-eyed. I hate sleep deprivation. Why can't I just require eight hours of sleep like every one else in the world? 8. We are out of frozen vegetables. Noooo! 9. I'm going shopping with my mom tomorrow (or today, by the time this is posted). Or window shopping. As my mom said, it is actually Christmas window shopping. Because she told me she wouldn't let me spend money, and I'm going to hold her to it! 10. Christmas sure is hard on my bank account. Alright, that's it! It got rather depressing there at the end, didn't it? That's because when I get tired I get negative and I start worrying about money. There, another little bonus fact for you! And that's it for this award! You know I love all of my blogging friends, but I've never given these ladies an award before, and I think they deserve this one. Okay Awardees, don't forget, we need your interesting, random facts about yourself! I await to read them with bated breath! That didn't make much sense grammatically - it's the sleep deprivation talking . . . So building off of last Thursday's post (Catch Him Being Good) about focusing on the good things that our husbands do every day, I'd like to ask you ladies what kinds of things do your husbands do that you can commend them for? I'm mainly asking for things that they normally do anyway, or things that are usually their job. We all would thank our husbands for bringing us flowers or surprising us by cleaning the kitchen or vacuuming (and don't you just love it when they do that? ), but I want to know about things that you don't normally thank them for. I want to challenge you to think of something that he wouldn't expect to be thanked for, and thank him for it this upcoming week. Our men deserve a little recognition for all the normal, everyday things that they do for us, don't you think? Here are a few things that I thought of that Derek does that I've mentioned in the past or that I plan on mentioning to him - feel free to steal my ideas or adapt them for your hubby. 1. Thank him for working. Have you ever thanked your husband for being the provider for your household, or has that fallen to the wayside because it's typically the man's job to provide? Our men would really appreciate some recognition for just getting up and going to work every day. 2. Tell him how much you appreciate how he takes care of all the mechanical maintenance that cars demand. I hadn't thought to officially thank my husband for this - I've told him how impressive it is that he's so good at all that mechanical stuff, but I haven't told him how much I appreciate all the work he puts in to our cars to keep them running properly and save us money. 3. Thank him for arranging for the bills to be paid. Derek is the finance guy in our house, and I'm so glad that he takes care of all of the actual paying of the bills, because I really don't want to deal with all that paper! 4. Derek cuts wood for our wood burning stove so that we can save money on heating in the winter. He puts alot of hours in just chopping wood, and I know it must be tiring. It's something he wants to do, not something that I'm saying he should do, and so I haven't thought to thank him for all that work: just so we can have nice fires in the winter. 5. Thank him for just putting up with you! We all have those moments ladies - you know what I'm talking about. Derek says I'm not high maintenance, but there are times when I think I am, so I thank him quite a bit for just putting up with me (especially when it's that time of the month - yep). He usually just dismisses the idea that I'm hard to deal with, but by thanking him I'm letting him know that I appreciate the grace he gives me when I make mistakes, and I'm trying to do better. 6. Thank him for being gracious when you buy new clothes. Especially considering that men don't fully understand our fashion wishes - in their eyes, a sweater is a sweater, a pair of jeans is a pair of jeans. Derek and I consider all of our money to be shared, and I really appreciate that Derek doesn't get upset when I buy something new, because I'm sure there are husbands out there that do get upset. At the same time I try to show Derek respect by calling him when I'm thinking about buying something that's more expensive and asking what he thinks, and not hiding purchases from him, because I don't want to spend too much and I don't want to be deceitful in any way. But he's always so sweet about it when I want to buy a new pair of jeans, or coat, or blouse, and I think I'm pretty blessed that way. What things does your husband do that is worthy of recognition? I'm interested to hear what you all come up with when it comes to focusing on the little-recognized, good things that our husbands do! Anybody Want A Christmas Card? Christmas cards are here! That's right, on Monday night Derek and I picked up our Christmas cards from Sam's Club (they have great prices on cards if you're a member)! We did these picture cards, and I think they turned out great - one good thing about all this snow so early in the season is that we got a great snowy Christmas picture for our Christmas cards! I intend to get them all addressed and ready to go for next week, and the day after Thanksgiving they are hitting the post office. I'm going to get them out early this year! The reason I bring this up is because I feel like I've become friends with many of you (even though I've never met you or even heard your voices, for that matter). And if any of you all would like a Christmas card, I would be only too delighted to send you one! So if you want a Christmas card from moi, please e-mail your address to throughcloudedglass@gmail.com. So what kind of Christmas cards are you all planning on doing? Picture cards, store-bought cards, homemade cards? Every Tuesday night I make something especially good for dinner and Derek and I sit down and watch the Biggest Loser. We're about halfway through this season now, and it's getting to the point where you can really start to see the difference after all that weight loss! Tonight is makeover week, and I'm totally excited to see how everyone looks after the makeover - this is my favorite week. I love makeover shows. But what I wanted to write about is the workout with the trapeze that the contestants did on the show with Bob last week. Did any of you see that? Gracious, that trapeze workout looks like so much fun! I want to do it. I told Derek that he should sign me up for one of those workouts, because it just looked fun. But Derek hasn't signed me up yet. I know the contestants were about to die after they did it, but I feel like I'm going to die after any good workout, so I might as well pick a good workout that I can have fun doing! I have no idea how to find a trapeze workout place though. They can't be that common, because I've never heard of it before now. As I was searching for a photo to go with this post, low and behold, I found this video. Forget the trapeze workout, I just want to learn the flying trapeze. Doesn't this look like fun? It might be a little hard on my joints, but I'd suffer through! I want to do it! I must have "a child heart and unfilled dream of doing circus". They say it's like a family trade - I bet we could go into it as a family. We'd have to think of a really cool name though. Hmm, my next search may have to be "flying trapeze lessons" . . . I guess the deer are safe for one more year. Yep, I didn't get anything this year. But I was so close! Here's how my last morning of hunting went (for those of you who are against hunting, please no nasty comments - you aren't going to change my mind, and I don't expect to change yours, so let's just peacefully ignore that controversy, shall we?). I had a tag for a buck, and for some odd reason buck deer are scarce this year. On Saturday all we saw were female deer. But then on Saturday night it started snowing. It snowed about six or seven inches and bright and early on Sunday (well, actually dark and early) we set out hoping to see some deer. We hiked for about a half hour, and suddenly we saw a group of deer ahead of us. We couldn't tell if there were any bucks in the group at first, but I dropped down to a sitting position and found them in my scope. I saw that one of the deer was a buck and I got my cross hairs on him. However, the wind was blowing snow in our faces, and my shooting eye was watering like a faucet. I wasn't totally steady on the deer, so I had to pause and blink a few times. But before I knew it he had turned and walked out of the line of fire, and the deer wandered off around the hill. We decided to go after them and after we went a little farther we saw them gathered on a distant hill. They were a little too far away to shoot, so we crawled about a hundred yards. Through six inches of snow. With the wind blowing in our faces. Let me paint a picture for you of my appearance. I'm in my camouflage, my big clunky hunting boots, rifle slung over my shoulder, covered with snow, Elmer Fudd style hat pulled down low on my forehead, and my supposedly waterproof mascara running under my eyes. Yeah. Not very glamorous. Thankfully Derek still thought I looked pretty cute. Anyway, the deer didn't even see us coming! I felt very stealthy. We got close enough that I could have shot one of them, but the buck was nowhere to be found. Finally the deer started to suspect something and wandered over the ridge of the hill. I was shocked they actually weren't more spooked - I don't think they really knew where we were. That doesn't usually happen - deer have amazing hearing and senses of smell, and they usually see us before we see them, but somehow we snuck pretty close before they left. And wouldn't you know, right as the deer decide they don't want to stick around anymore the buck comes prancing out from behind a tree. I knew he must have been up there somewhere. Rats, that tree. Those people that think hunting isn't a fair fight for the deer have obviously never acutally tried to sneak up on one. It's okay though, because it was a pretty exciting morning, and my wonderful hunting guide (Derek) and I had a great time just being outside and chasing deer together, even if I didn't get one this year! Here are some pictures that I took just so you guys could see! Derek and me about to head out on Saturday morning! Me, in the cold snow. Thankfully you can't see the remnants of running mascara in this picture! On the way back Derek stepped into some clean snow, fell backward, and proceeded to make a snowman! Then I did the same thing. We were laughing pretty hard! We had a pretty fun time! And that's what makes it all worthwhile. To pick the winner I assigned numbers to each entry and used the random number generator at Random.org - the number was 16, which ended up being Felicia. Just thought I'd tell you all the process, in case you wanted to know. So yes, Felicia, let me know where exactly you'd like me to mail your prize! My e-mail is throughcloudedglass@gmail.com. Thanks everyone for participating in the giveaway - it was actually alot of fun for me too! I think I want to do another one sometime soon, maybe in January or something, so keep your eyes peeled! Just a reminder, today is the last day to enter the giveaway! I'm going to pick the winner tomorrow, so go to my Last Hoorah For Autumn Giveaway post and comment to enter. Also remember that you get two extra entires for posting about the giveaway on your blog or Twitter, but please leave me a comment on the giveaway post letting me know if you posted about it so I don't miss it! In other news, tomorrow I'm going deer hunting, and I'm really hoping I get something this year! For the last couple of year I get a shot at an animal, but then I miss - it's rather frustrating. I'd like to contribute some meat to the family freezer this year, so if you could all pray for a successful hunt tomorrow, I'd appreciate it! I'll let you know how it goes. Also it's supposed to snow again today, and Rose (that would be our hibiscus plant) has two new blooms! She was looking pretty pitiful earlier this fall, but Derek brought he back from the brink of death with a sun lamp, and now she's thriving again. Just thought you all might like to know. Do you ever fall into the habit of "no news is good news" in your relationship with your husband? You know, where you tell him when he does something you don't like, but when things are going well, he doesn't hear from you? He may be able to tell you're grateful when things are going well, but there is no verbal communication of that gratitude. Our pastor loaned us a set of CDs from a Family Life marriage conference called A Weekend To Remember. It's about fifteen CDs. I listened to them as I drove to and from work for the last couple weeks, and they were really good - the speakers were great and really made me think about things I could do differently in our marriage. There are all kinds of suggestions that I want to share with you guys, and I probably will, but I'll just start with this one that I thought was helpful. If you're like me, you tend to fall into the "no news is good news" mentality within your marriage. However, on the Understanding Communication 1 CD in the set our pastor loaned to us, Greg Speck says that it's better to have the attitude of "catching them being good". Rather than just saying something when our husbands do something that upsets us, we need to notice, recognize, and thank them when they do something good for us. This not only means thanking them for the particularly sweet things they do, but also thanking them for doing things that they normally do anyway. In our house, Derek normally takes care of the dogs - he feeds them, puts them away when we go somewhere, and cleans up the messes they make. 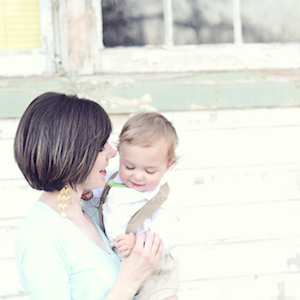 It takes a big load off my shoulders to have him take care of that aspect of the daily responsibilities for me. Yet I hardly ever stop and thank him for doing those things - and why not? It's a great relationship builder when we verbally recognize the good things and thank our husbands for everything they do, rather than verbally focusing so much on the negative things. You wouldn't think it would take a marriage CD for me to understand that one, huh? But that's why I think marriage messages and books are so helpful - alot of you may not have specifically thought about this either, but now that I told you you'll be more aware of it next time, won't you? 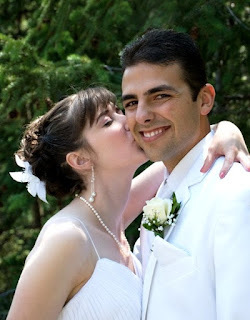 I'm blessed to have a husband that is so wonderful to me; I don't tell him how much I appreciate him as often as I should tell him, and I know I don't deserve him. I know I could do a better job of catching Derek doing good, and I'm going to try to do better at that in the future. It's a way I can support him and show him my respect and build him up more, and that's so important in having a good marriage relationship with my husband. P.S. You all have two more days to enter my Last Hoorah For Autumn Giveaway, so if you haven't entered yet go enter now! Guess what guys? I'm a guest blogger again! I'm contributing to Amy's Christmas blog, Be Jolly By Golly, this Christmas season, and I'm pretty excited! You all should go over there and check it out - she's got some great Christmas ideas and just fun Christmas-y stuff. I'm usually a wait-until-after-Thanksgiving-before-breaking-out-the-Christmas-stuff kind of girl, but for some reason I am just getting in the spirit early this year. And what better way to enjoy my newly found, early, Christmas spirit than by incorporating it into my blogging obsession? So yes, alot of Christmas-related posts by me will be appearing over there this year. I'll still put Christmas stuff on this blog too, but you just might have to follow both blogs to read everything. I'll try to let you know if I post over there too though. Amy is very organized when it comes to Christmas - she has an amazing little Christmas planner and I'd be willing to bet that she has most, if not all, of her Christmas shopping done already. I am not so organized when it comes to Christmas. Boy, am I not. I'm kind of a fly-by-the-seat-of-my-pants kind of Christmas celebrator. My only goal this early in the season is to get the Christmas cards ready so that I can mail them the week after Thanksgiving. And I'm not sure if it will happen or not. So it should be pretty interesting to see how our posts play out together on the blog. Head on over there to read my first post. Oh yes, and I need to clarify something about my Autumn giveaway. In order to receive the extra entry for being a follower, you have to be publicly following my blog on Blogger. So your picture should be over there in the little followers box on the sidebar to get the extra entry. Not to say that I don't appreciate all of you who subscribe to my feed, because I most definitely do! But if you follow it on Blogger I can confirm that you are actually a follower, so to avoid any confusion I figure I better just stick with that. If you are an old follower or a new follower before Saturday and you entered the giveaway by commenting you will get that extra entry! And if you haven't entered it yet, comment on "Last Hoorah For Autumn Giveaway" to enter! I'll announce the winner on Saturday. And that's a picture of me last Christmas, in case you were wondering. My husband has a red mark on his neck - and I did not give it to him! I went and watched Derek's hockey game last Sunday. When I say I "watched", I mean that I paid attention when I saw that he was on the ice, and I read my book when he was not. However, sometimes I don't do the best job looking up from my book right when Derek is back in the arena. But I do see alot of his plays, and I think he's pretty much amazing. Our kids are going to be little athletes, I'm sure of it. And I'm going to go watch their games too. I did watch enough of Derek's game to see that one of the players on the other team had long blond hair. It was hanging out of the helmet and flying behind them as they played. I wasn't sure at the time if it was a girl or a guy out there (kind of hard to tell with all the hockey equipment, you know). But if it was a guy I wanted to give him a haircut. Little did I know that while I was blissfully unaware and distracted by my book, my husband was hit by one of the opposing players. They took their hockey stick and whacked him right on his neck above the shoulder pads. That's supposed to be against the rules, but the referee didn't call it (come on, Ref)! Well, I found out that not only did some nasty player slash my husband like that, but it was that long-haired girl player. Just because she is a girl doesn't mean she shouldn't get a penalty! I tell you, when I found out I wished I had seen it happen so I could have jumped out on the ice and yanked on that girl's blond tresses. I wouldn't have actually done that. But, boy, I would have wanted to. You can all pray for me and my anger issues now. And I bet you're feeling sorry for my future kids too. In my book fall doesn't officially end until after Thanksgiving. Even if I break out the Christmas music and shop for presents before then, fall is fall is fall until Thanksgiving. So in honor of the last couple weeks of Autumn I'm doing a "Last Hoorah For Autumn Giveaway"! That's right, my first ever giveaway - are you all excited? I've won a couple blog giveaways this year, so I figured it was time for me to give back. 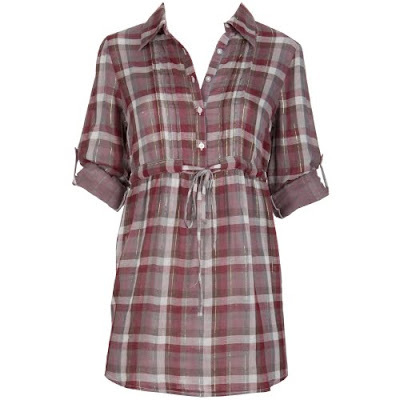 The first item for this lovely giveaway is a baby-doll plaid blouse from Charlotte Russe. If you haven't participated in the plaid trend this fall, here's your chance to get in on it for free! It's a size small, but the style is such that it will probably fit alot of you even if you aren't a size small. Here's a picture of moi modeling it. The second item is a box of Zachary Gourmet Candy Corn, and it's apple cider flavored. I can tell you right now that the candy corn is delicious! I bought a box for Derek and me, and we both think it's some of the best candy corn ever. And finally the third object is a cookbook from About.com on Southern cooking. It should be helpful for all that Thanksgiving cooking that's coming up! It was hard shopping for this giveaway. You know why? Because everything I bought for the giveaway I wanted for myself! Hence why we ended up with that box of gourmet candy corn and a cookbook. And hence why I ended up buying the same shirt that I'm giving away for myself. It was just so cute, and I couldn't not get one for me too! So yes, I have the same shirt that I'm giving away - somewhere in the country someone will win the same shirt that I have. I won't tell anyone if you won't. 1. One entry for each comment on this post. 2. You get an extra entry if you are a follower of my blog. 3. If you post on your blog or Twitter about the giveaway and link to my blog I'll give you another two entries. Be sure to let me know in a comment if you blog or tweet about it though so I know. The winner will be determined using a random name generator if I can figure out how to do it, otherwise we'll go back to the old draw-a-name-out-of-a-hat method. If you can, leave me your e-mail address in your comment so I know where to contact you if you win, or shoot me an e-mail with your e-mail address if you don't want everyone in the world seeing your e-mail! You can e-mail me at throughcloudedglass@gmail.com. I wish you all luck! I'll announce the winner on Saturday, because I'd like to get the prizes mailed out so they arrive before Thanksgiving. I'm afraid I'm going to have to limit the contest to the United States or Canada, because I don't think I can afford to ship it overseas, though maybe I'll do a giveaway open to other countries in the future too! I've had a very full week of work. I usually work three days a week, and it's great because I get days off in the middle of the week to catch up on everything. But this week I'm working every single day, and the house is in shambles because I'm pretty tired by the end of the day and I just want to zone out. Tonight we were sitting on the couch after watching some TV and I groaned about waking up early again tomorrow (I really don't mind getting up - I like my job and I get paid well, but it was a weak moment). Derek started whispering "Don't go to work" in my ear. Then he reached his arm behind me, set both of his hands on my shoulders and started doing hand puppets, talking with each hand in a little Muppet voice. One hand puppet was Angel Callie and kept saying things like "You have to go to work tomorrow, Callie! Your doctor needs you!" The other hand puppet was Devil Callie and kept saying things like "You don't really need to go to work tomorrow. Stay home. Stay home and blog! You like to blog. Blog, blog, BLOG!" I tell you, it made me never want to blog again! But a good hard laugh does add five minutes to your life . . .
Have any of you ever seen "Don't Forget The Lyrics"? It's a game show where contestants have to sing portions of the lyrics of songs exactly and of course they win money if they get them right. I always liked watching it, but I'm not too up on mainstream music, so I never know the songs that they have them sing on the show. Well, I just discovered "The Singing Bee"! It's sort of like "Don't Forget The Lyrics", except most of the music is country. We country-music listeners can be in our own little world sometimes, and not really know too many songs outside of the country music genre. That would be me. I've been forced to know more mainstream songs in the last year because most dental offices play pop/light rock, but I still know so many more country songs. So I think this new show is pretty fun to watch, because I actually know the songs! It's on Country Music Television (CMT) in case you ever see it. It can be a little obnoxious sometimes, just because they have everyone dancing around all the time when they come back from commercial breaks, but the actual game part is fun. And totally off subject, but this is the last day to vote for the photo contest I entered, so head on over to Jessica's blog and vote for me in the little poll she has on her sidebar! If you haven't voted for me already, that is. And don't worry, if you voted for someone else I won't hold it against you . . . but if you haven't voted, vote for me! Did I say "vote for me" enough times? This is my attempt to brainwash you . . . 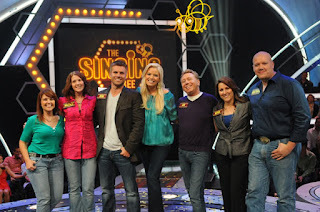 Image from The Singing Bee page at CMT.com.